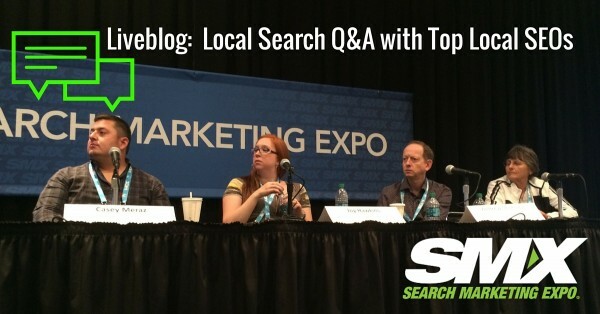 All local SEO questions are answered in this roundtable of respected experts. The assembled experts will field the following questions submitted by the audience and also topics the panelists submitted to talk about. Are you guys also seeing a drop-off in clicks? What advice are you giving to businesses now? Especially for those who had visibility at spots 4 or 5 or 6? What other things like scholarships and sponsorship of community organizations can businesses do? For multiple business locations, do you create separate directory listings? How do we avoid the difficulties of every time you make a change to a locksmith listing it gets marked as spam? How accurate is the data in the GMB dashboard? What’s the optimal time frame for posting new content to a GMB page? Mary: Google has said for a long time that they want the same mobile and desktop experience. Casey: To monetize — and he’s expecting more of that down the road. We’ve seen tests where they’re testing no organic or local results above the fold, especially on mobile. So, it’s feasible that they keep only ads above the fold. Andrew: Likely 3 local results for mobile usability, and it’s gravy if you can switch them to paid. Joy: Many of her clients saw no drops in clicks when the switch happened, so maybe no one was clicking beyond result 3. Mary: Maybe Google doesn’t as strongly feel the need to show multiple results because they’ve gotten good at serving local results over big brands like Yelp. Are you guys also seeing no drop-off in clicks? Andrew: Across big brands with lots of locations, organic clicks have gone down and they freak out until they point out that the clicks have just moved over to GMB results, for example. Casey: They made it harder in some cases for the user to get to the website. For instance, a click to the title brings you to the business listing. Mary: Google has always said they want to give answers from SERPs and this is the opposite, because it requires clicks into the local finder to find the info you want. Mary: Keep calm and carry on. It takes a while for these things to settle down once Google makes changes. This has been the most chaotic testing in the history of local search. Since then I haven’t heard them come back and complain that traffic and phone calls are down. Andrew: The biggest drops right now are in mobile organic. There are more ads at the top, the 3 pack, then organic results. Anyone relying on local organic results on mobile are in a pickle. The only solution right now is to expand the net of keywords you’re targeting. Casey: Reviews are still super important. If you’re the only one that has local reviews or you have a substantial amount of reviews, you can get more clicks if you have more and better reviews. Joy: Some clients were mad that review stars were removed from branded searches. That makes it just come down to location, and that’s tricky for brands with multiple locations. Joy: It’s in the guidelines that virtual offices aren’t allowed. The MapMaker team is probably your real enemy because they consider virtual offices to be spam. For home-based businesses, you have to stick with your main office. Mary asks what to do if competitors are obviously faking locations? Joy: Report it in MapMaker, leave a comment and include proof. Street View is a great resource. Reporting competitors is a highly underutilized tactic. The MapMaker team is good at getting things reviewed within 1 or 2 weeks. Casey: Anecdotally, we think Google organic gets more. It’s the biggest local search system that most people ignore. Mary: Optimize for traditional SEO signals first and get that in order. Local SEO factors, like NAP consistency, are more of a suppressing factor than one that boosts you up. Andrew: When you get to #5, to get to #1 takes fine-tuning the small factors, like adding a keyword to a title. Mary: In local SEO, nofollow links can have just as much of a signal as a follow link. Joy: Links of citations. Links + citations are even better. Links are harder to get so that’s why they’re more valuable. Casey: Citations can sometimes be link sources. He says to look at the hyperlocal directories, see what else you can add to there, and maybe you can get a link there. Everyone may be able to be listed in a city directory, but not everyone’s doing a scholarship or sponsoring a little league team. Mary: A lot of people don’t think about local media attention. That has a huge effect on local rankings, and Google is paying attention. Andrew: A personal injury attorney said that he spends six figures on PR and media coverage and that gets him to #1 without any other local SEO. He believes that’s the case. Casey: If you do a scholarship, make it go further and pitch that story to local media. The links from media are more valuable than the .edu links for the scholarship. Mary: Move your focus offline and ask, what could I do to market my business if the Internet didn’t exist? Google has found a way to reward that. Andrew: You’d start to get into trouble if the anchor text looks commercial or if the link is reciprocal. With the recent 3-pack update, lots of other tests are going on (phone numbers on and off, 20 listings near the Knowledge Graph). What’s the latest? Andrew: He suspects the click-through rate on mobile ads increase significantly. Joy: Phone numbers are back as of right now. Andrew: Every location should have a unique page. Every time they post the Google My Business page and the location page, rankings go through the roof. The tension is a Panda problem. Joy: The biggest problem she sees here is not having unique enough title tags. It’s important for business pages to add unique content if they want to, so that’s a key reason to have separate listings with unique photos and titles, etc. Mary: The more you can localize each location page, the more you’ll be rewarded for it. Andrew: REI used to be the poster child for having the best local landing pages. Joy: Make changes to locksmith listings as minimally as possible; Google moderates like crazy. If you want to make a change, you may want to try calling GMB. Joy: Pay attention to impressions and call data. Filter the data with big spikes. Andrew: Don’t get thrown by Search Analytics. What’s the optimal timeframe for posting new content to a GMB page? Mary: Unless you have a huge loyal following that you engage with on Google+, then you’re wasting your time there. Joy: 99 percent of my clients’ customers aren’t on Google+ so that’s not worth it. Matt: They’re dismantling Google+, right? Joy: Yes, I think they’ll call it something different soon. Andrew: I think it’s weird that normal people can’t find GMB pages. Mary: It seems to be a container for holding your data. Andrew: The concept of indexing app content is becoming more important. Joy: The Yelp app is used a lot. It’s surprising how many businesses haven’t claimed their Yelp listing. Yelp gets a serious amount of traffic. Casey: Every niche is different. See where your customers are hanging out and then be there. Matt: The latest industry data is that the Google Search app is growing faster than the Facebook app. Google Search is not just in the browser. Andrew: Google Search app is incredible. It has the OK Google voice query, and that and Siri are becoming more popular and they give contextual results based on your earlier query. 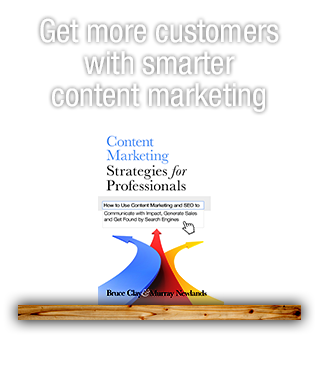 You have to start thinking about the ways people are searching for the second or third clarifying/qualifying query. Can home-based businesses list on Apple Maps? Andrew: Technically no. If you look at your Apple Maps dashboard you may see that your listing is not approved, but it may show up in the map. Claim your business at MapsConnect.apple.com. Some industries require a TripAdvisor and Local.com listing. Joy: Focus on Android users. They already have all the apps on their phone that they need. They can ask them while they’re there at the office. An allergist gives allergy test shots and patients have to sit for an hour. During that time he asks them to leave a review, and he has tons of reviews. Mary: Businesses can’t hide any more. It used to be that if you were in a high traffic area you could have enough foot traffic to keep your mediocre business going. The key is to commit to listening to what customers are saying about you and making a huge commitment to continually improve your business based on that feedback. Casey: If you have a great business, the reviews come in. Get 5 Stars is a tool you can look at using. 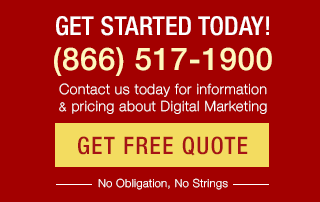 Andrew: They use reviews as a content generator for local landing page content. 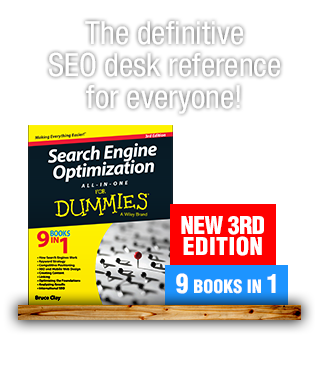 That has a dramatic impact on those pages’ ability to rank organically. Mary: Mike Blumenthal asked why people leave reviews. Great job or lousy jobs get reviews. In the middle, or an expected experience, doesn’t get reviews. Joy: A tip shared in the latest Moz Local Search Ranking Factors report: If you go to the local finder and hover over your competitors, there will be links under each competitor, and you may get an insight into what you might be missing. Andrew: This same resource can help you find the out-of-place thing that may be bringing you down. Mary: Look for places where they can authenticate the reviews. Trip Advisor and Hotels.com are two authentic review sources and more consumers are figuring these things out, places where you can get more authentic reviews. Yelp tells businesses not to solicit reviews on Yelp, but because they have the check-in feature, Yelp will ask users if they want to review the business. What kind of audit do you do to identify issues from the Knowledge Graph? Andrew: Have a good inventory of different KG result types. SERP by SERP. There are certain data sets that Google acknowledges power the KG.